Secretary of State Alex Padilla announced on Friday that an initiative which would expand local governments’ authority to enact rent control on residential property is eligible for the November 6, 2018, ballot. To be eligible, the initiative needed 365,880 valid petition signatures, which is equal to five percent of the total votes cast for governor in the November 2014 General Election. An initiative can qualify via random sampling of petition signatures if the sampling projects a number of valid signatures greater than 110 percent of the required number. On June 28, 2018, the Secretary of State will certify the initiative as qualified for the November 6, 2018, ballot. The law will be known as: Affordable Housing Act. b) Research by Apartment List indicates that the median rent for a one-bedroom apartment in California is $1,410, an increase of 4.5% in just one year. A one-bedroom apartment in Los Angeles costs $1,350 per month. In San Francisco, it costs $2,450. In San Diego, the cost is $1,560. 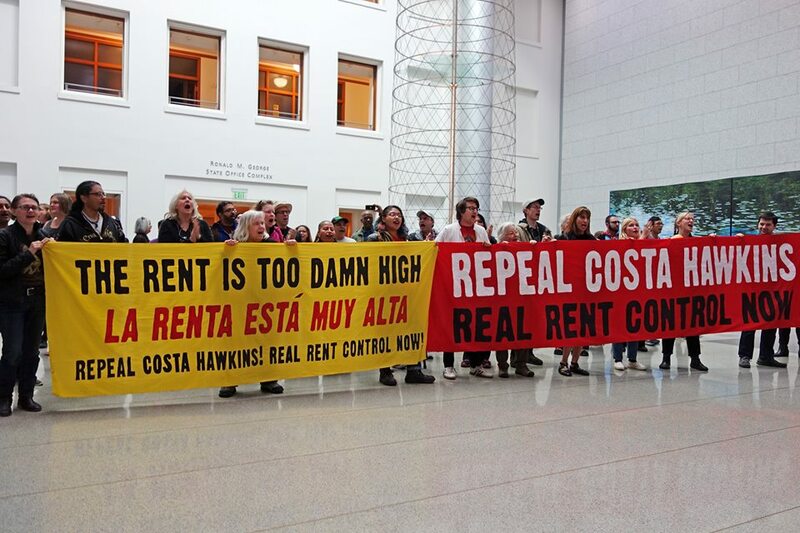 l) A major factor in California’s housing crisis is a 20-year-old law known as the Costa-Hawkins Rental Housing Act. Costa-Hawkins gives permission to landlords of residential apartments and houses to raise rents as much as they want in buildings built after 1995; despite local laws that would otherwise prohibit such increases, landlords in Los Angeles can raise rents as much as they want on buildings built after 1978 and in San Francisco, on buildings built after 1979.
a) To restore authority to California’s cities and counties to develop and implement local policies that ensure renters are able to find and afford decent housing in their jurisdictions. If you read through the a through n list, most of it has nothing to do with rent control. The biggest problem we have in Davis is not rent, it’s finding a place to live. And if we were able to find a place to live, we wouldn’t have a problem with rent either. Oh F-ing great . . .